More kit means yet more Velcro real-estate to cover. So call in the experts from BritkitUSA to satisfy the need for some ‘Velcro Backed Tacticool Goodness’. I’ve already covered some of their PVC range in MY PREVIOUS REVIEW, so on this one I’m taking a look at their Woven & Embroidered range. As usual, they’ve applied an irreverent sense of humour to many of these patches as well. Their WOVEN RANGE covers a good choice in full colour, plus monochromatic and subdued patches. Being woven means the patches won’t crack or split their design like some printed offerings can. 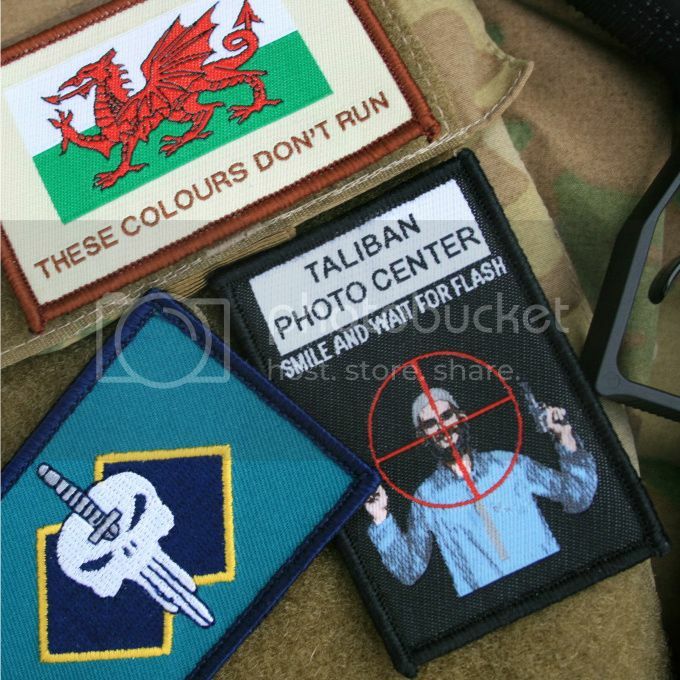 Just some of the patches include ‘Mission Accomplished’ and a nice ‘Taliban Photo Center’ morale patch. 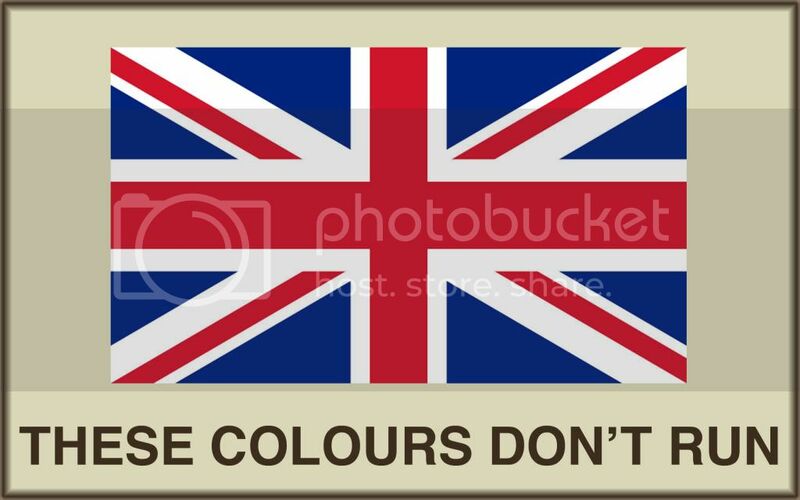 Also available is the Union Flag with a Parachute, SAS or Royal Marine badge centered proudly on it. One of my favorites is the newly added Welsh Dragon with the usual ‘These Colours Don’t Run’ motto (also new the Ulster flag with the same motto). Moving onto the EMBROIDERED RANGE they have the usual MW3, Punisher, and MOH morale patches to name a few plus a good range of Aussie flag based patches, good for those with the AusCam loadouts. The images are well defined and quality stitched on these patches with the Velcro being well secured and of course attached to a ‘Velcro-blank’ which is usual for patches from BritkitUSA. Of course they still carry a great range of PVC and IR patches, keyrings, and other goodies plus these guys will also complete your custom orders but you’ll need to contact them via their website for prices/quantities etc. Don’t forget the range is growing and expanding all the time so check back regularly for updates and to keep up to date. Don’t forget ALL prices INCLUDE shipping. 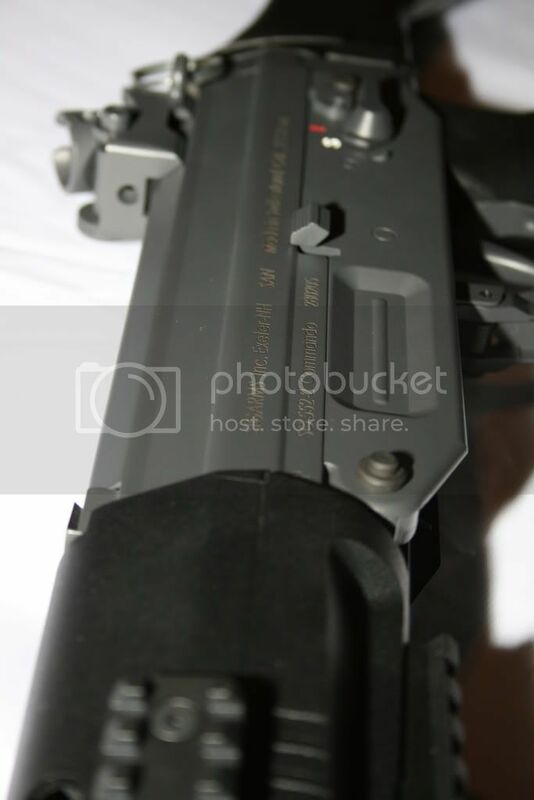 This review is copyright 2011 by Yosser Airsoft Odyssey © and may not be copied or reproduced without permission. Most Pictures are copyright of EllieTDog Studios ©. You may link to this page.